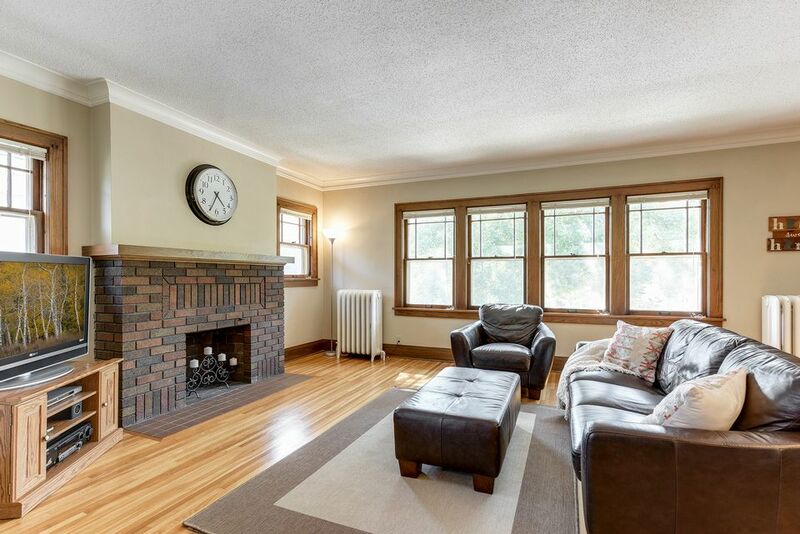 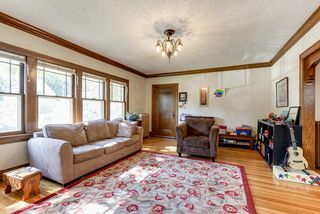 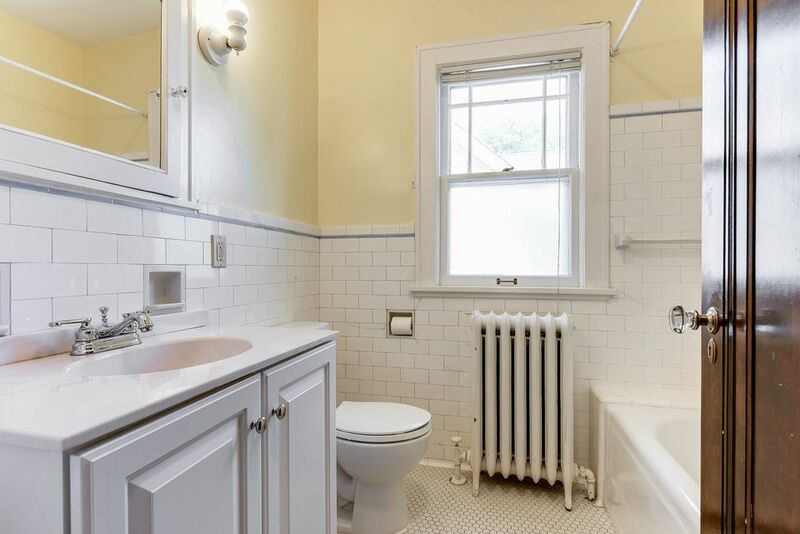 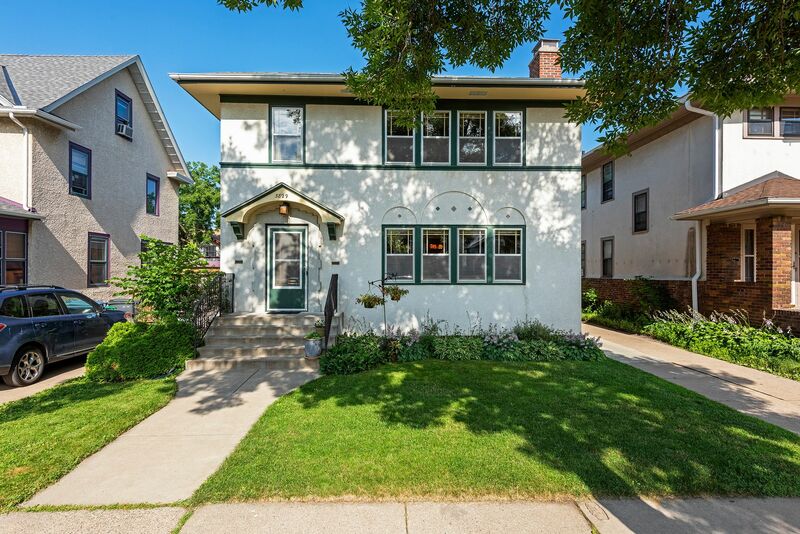 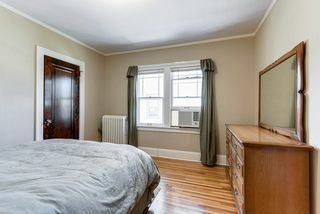 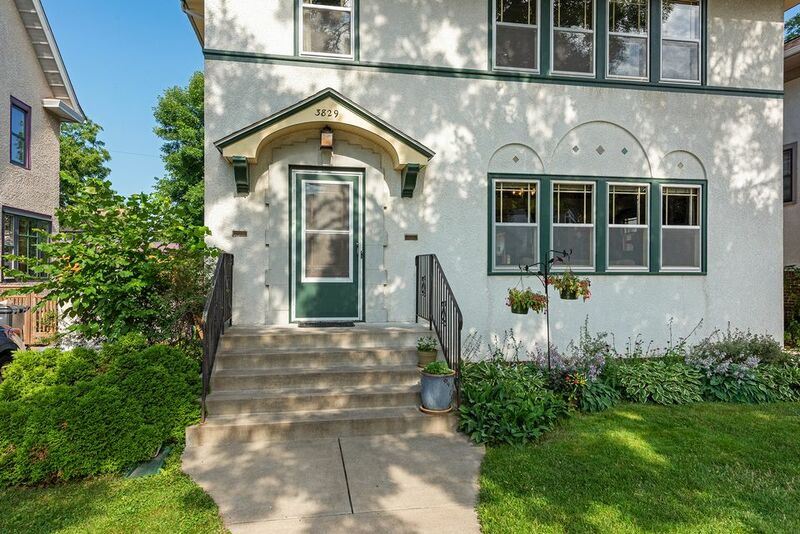 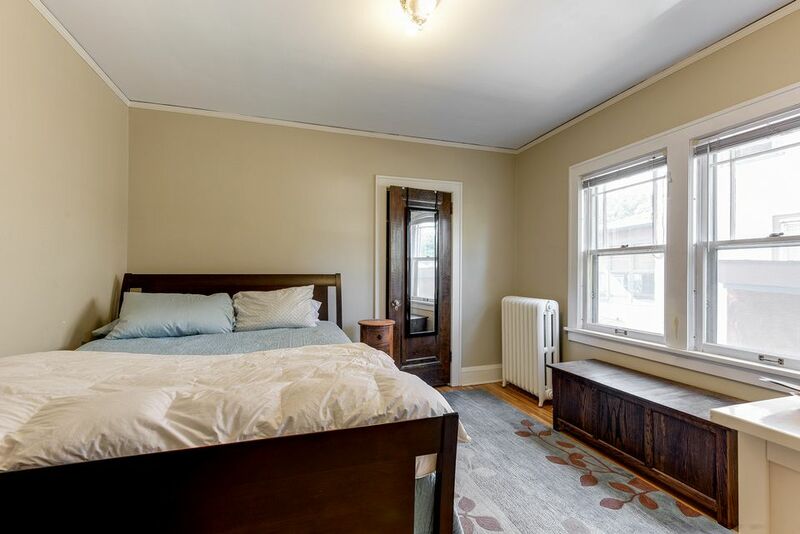 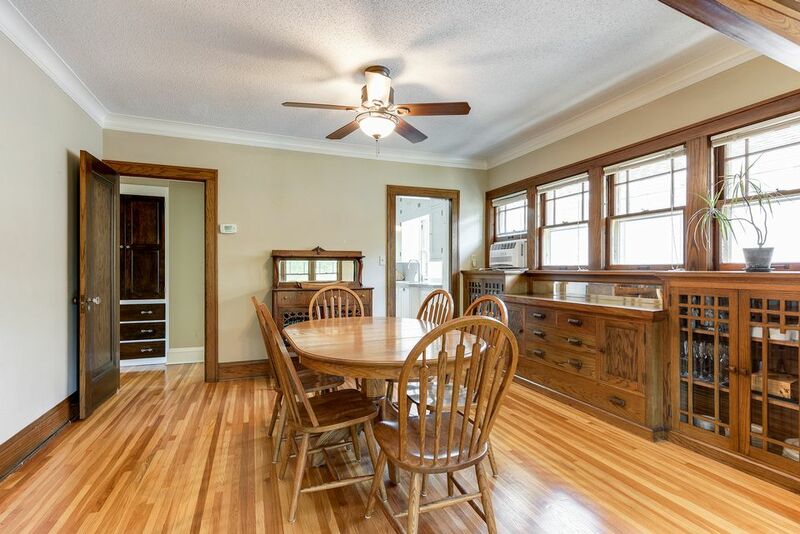 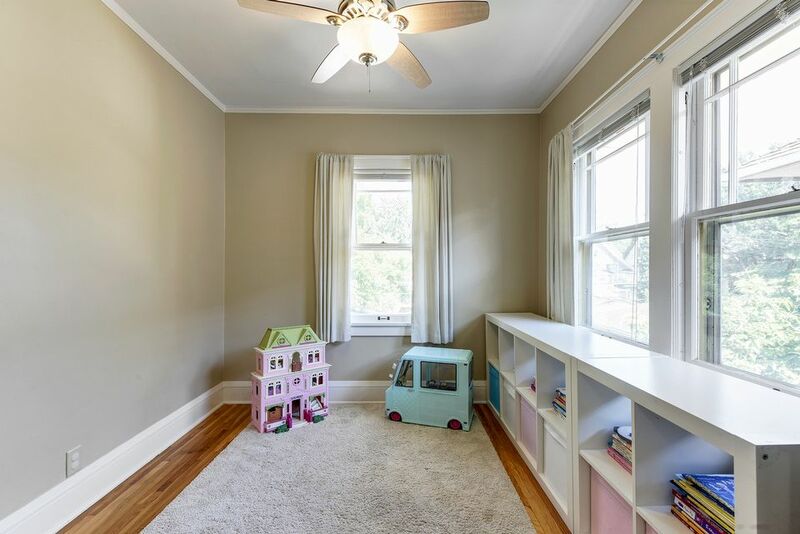 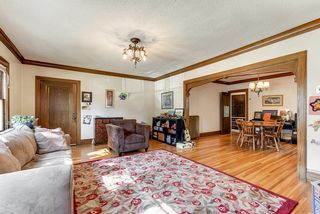 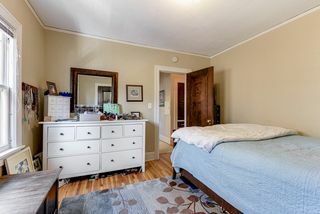 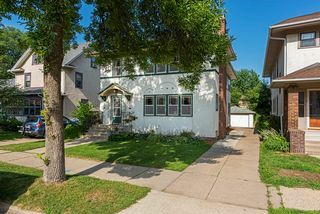 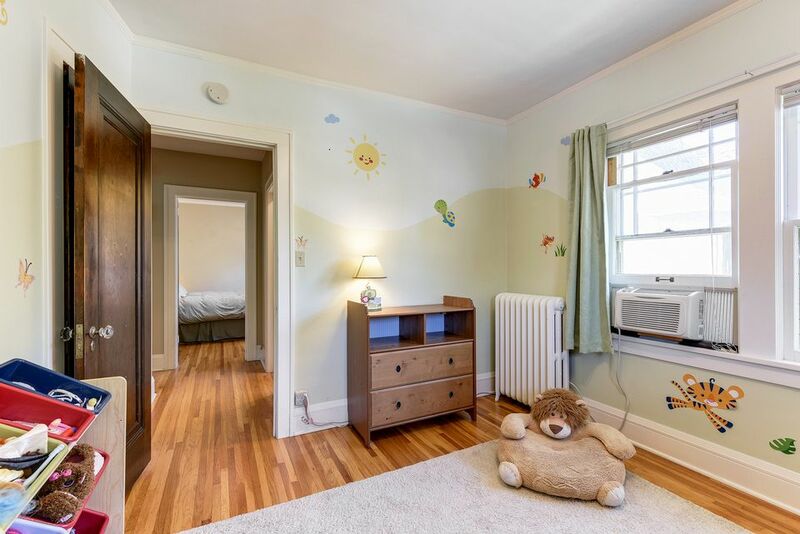 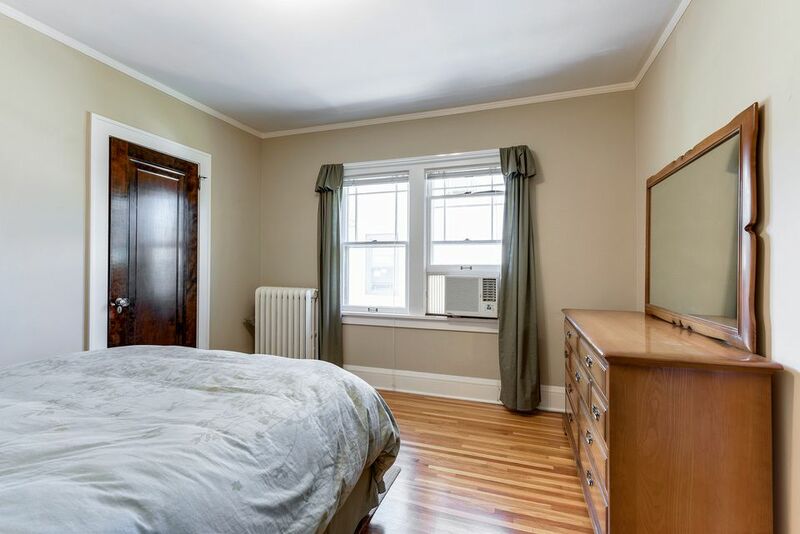 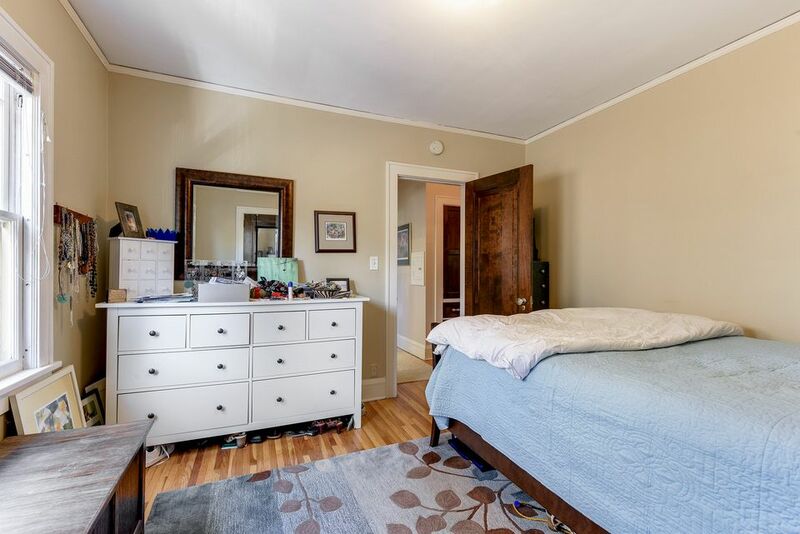 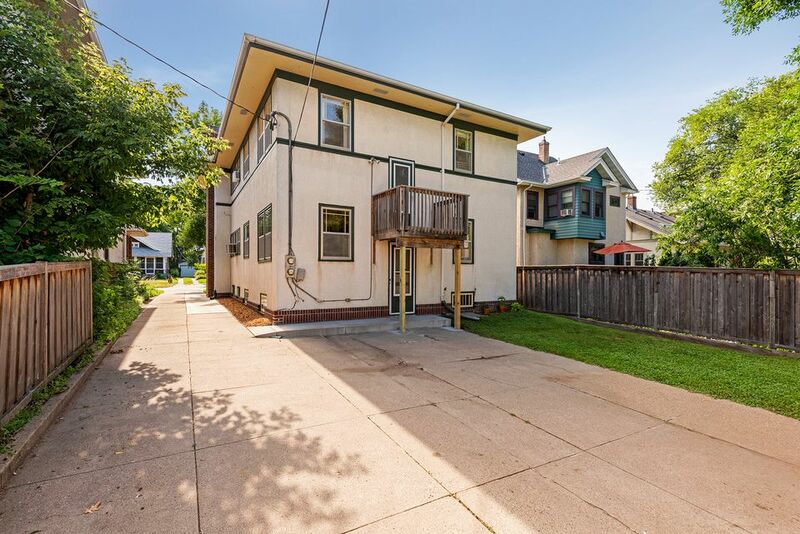 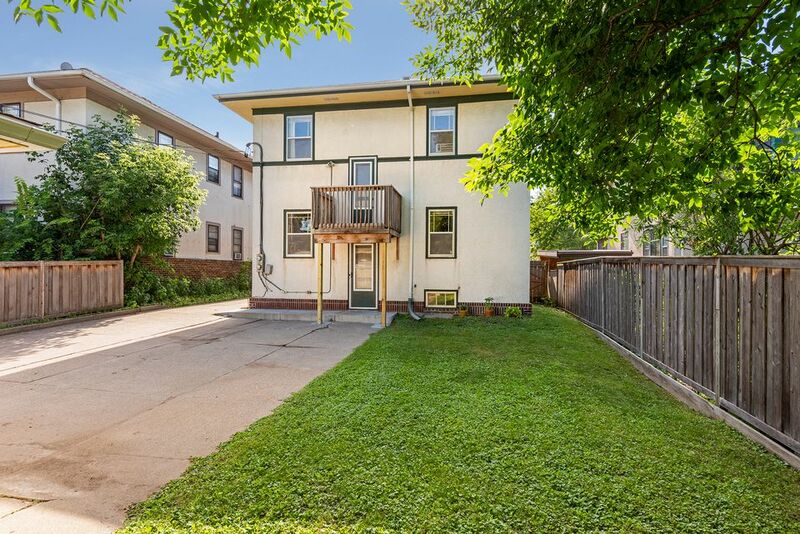 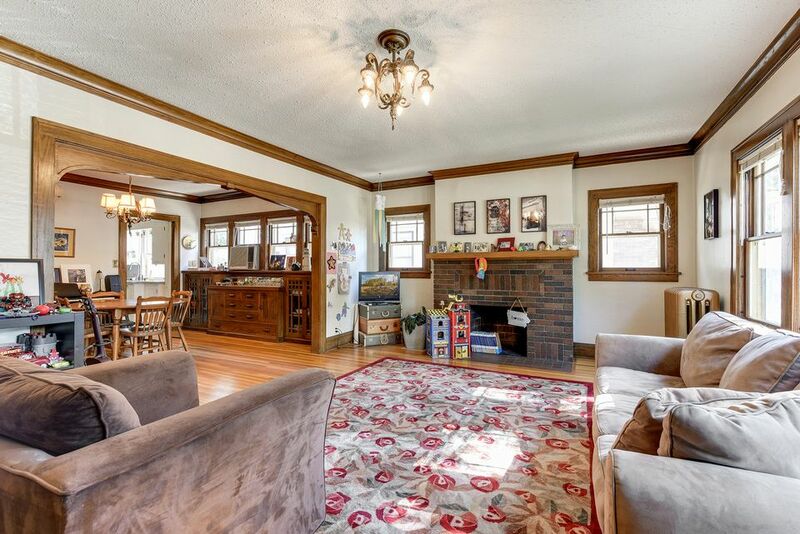 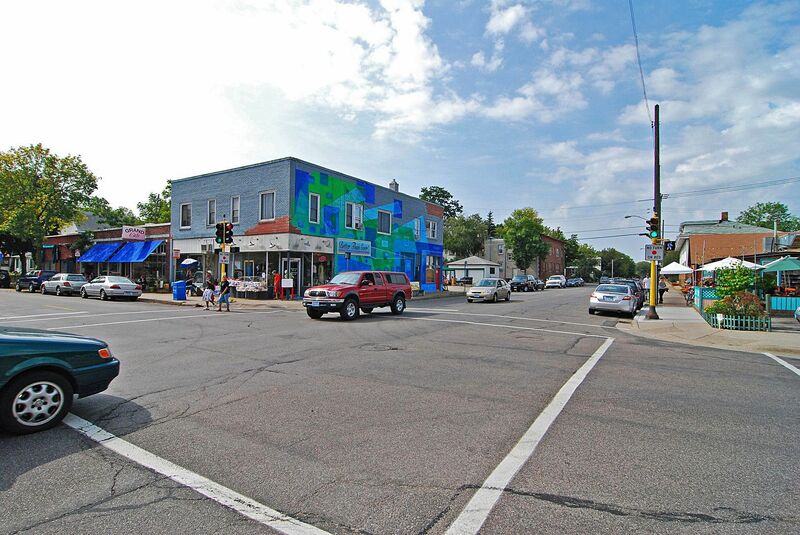 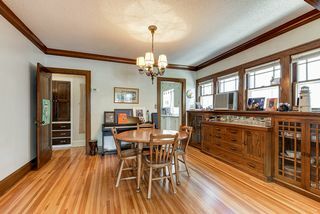 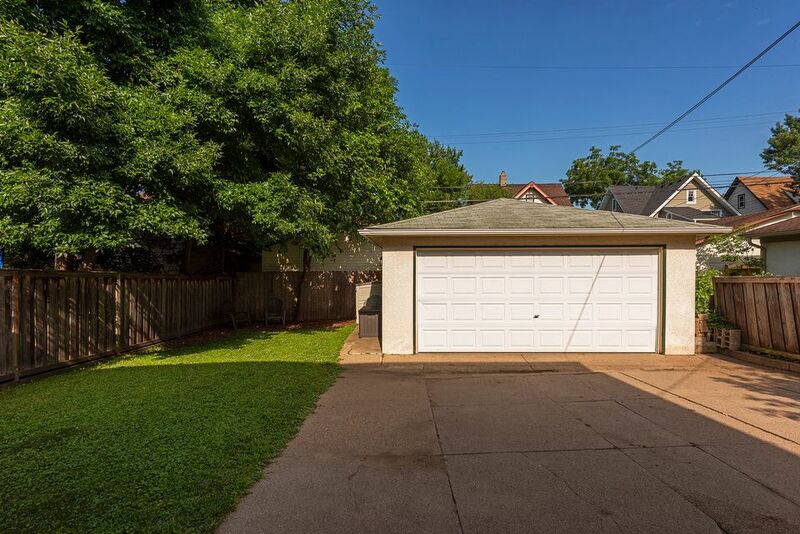 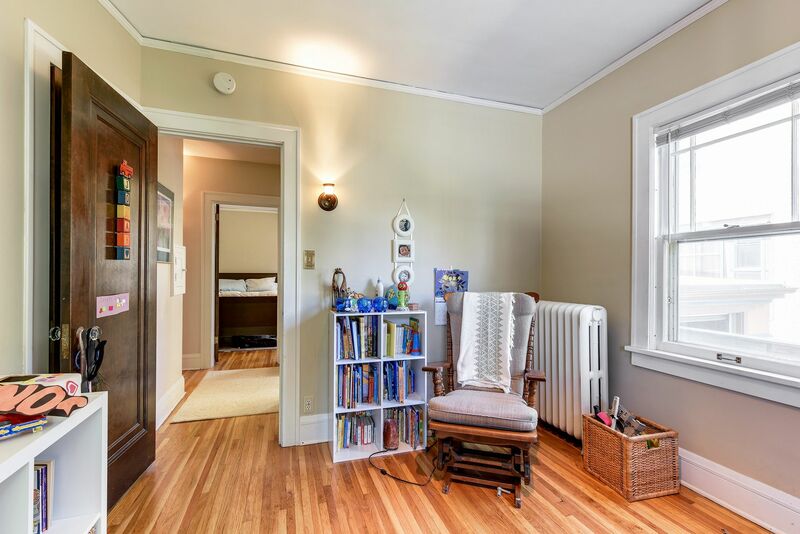 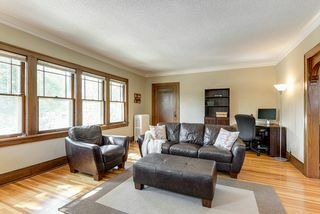 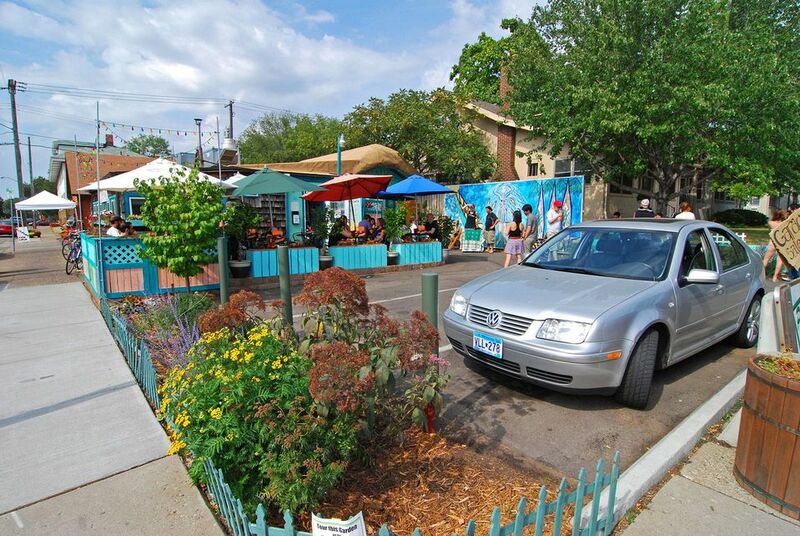 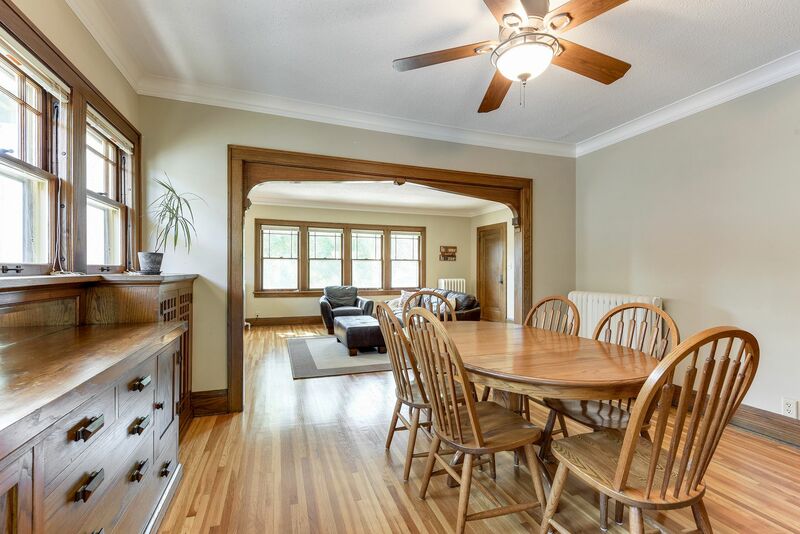 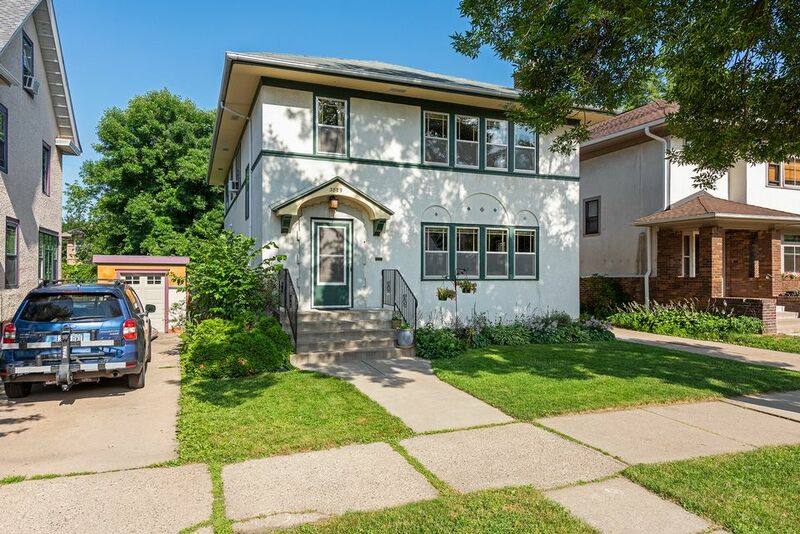 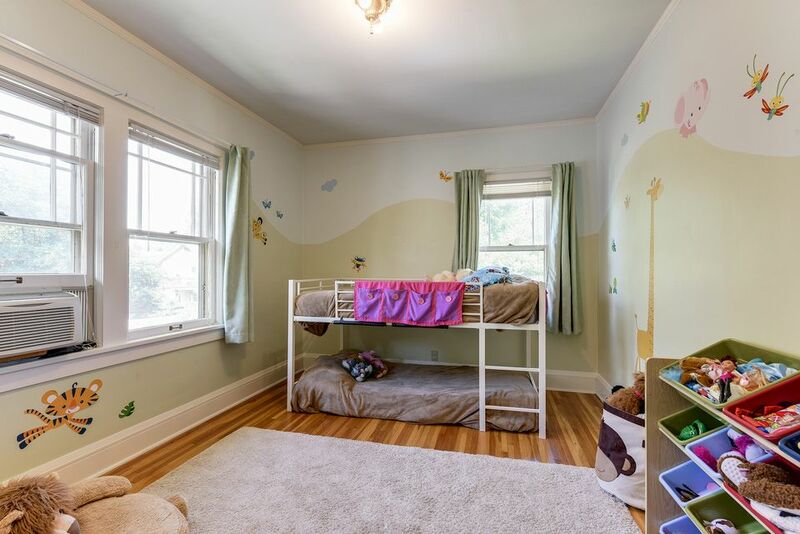 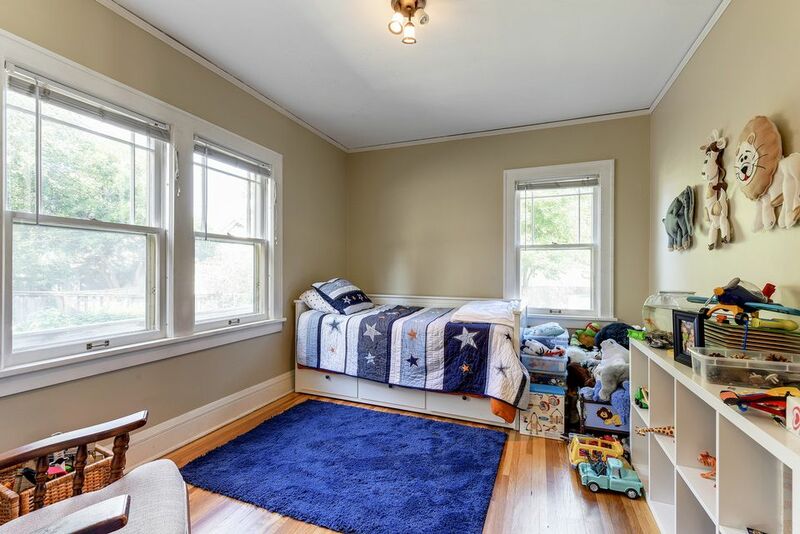 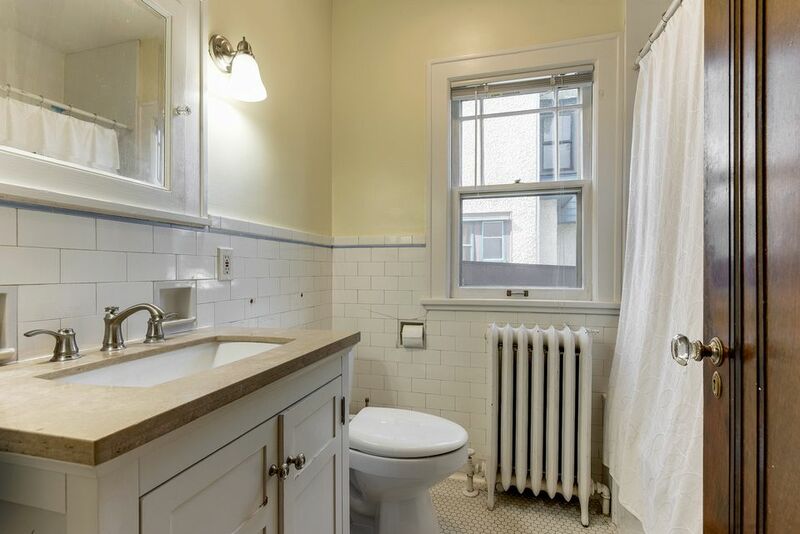 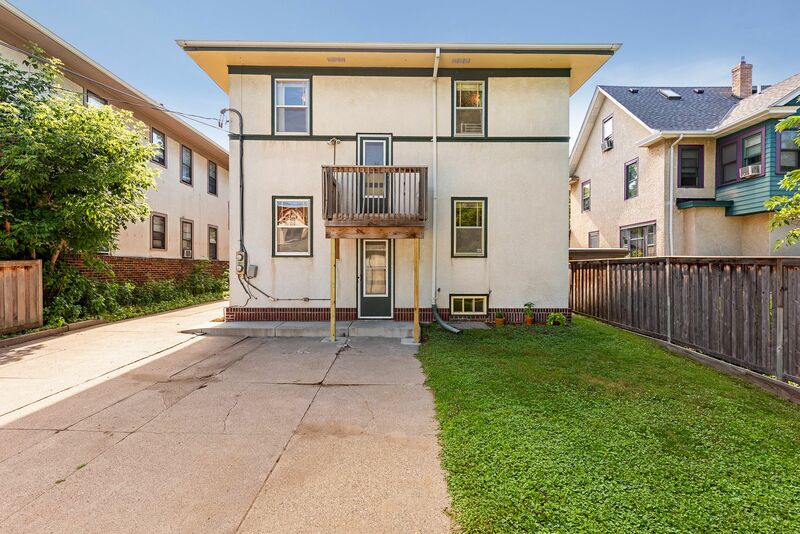 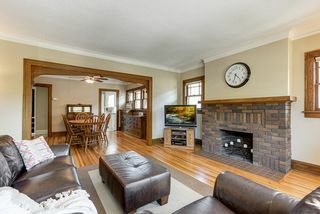 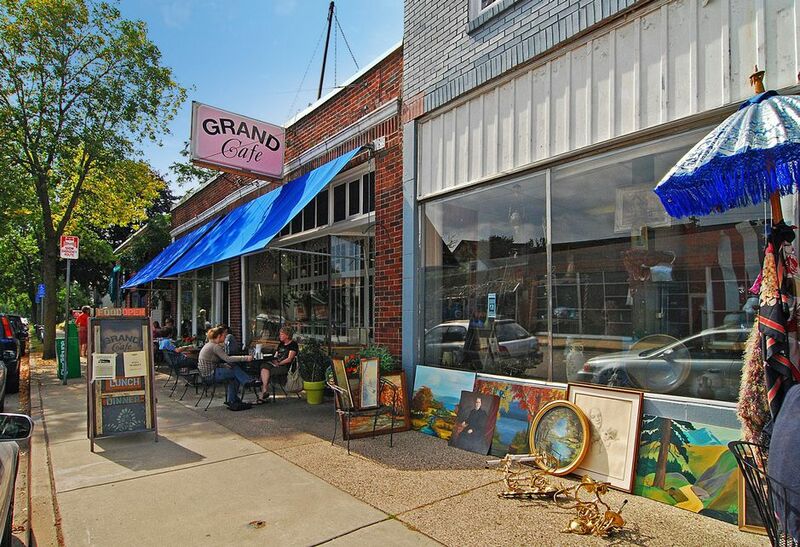 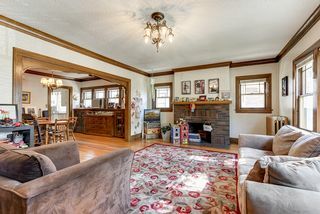 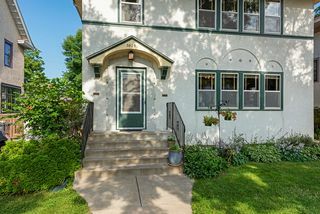 Duplex with original character plus updates equals move in ready! 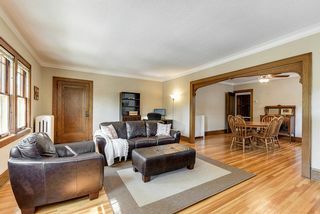 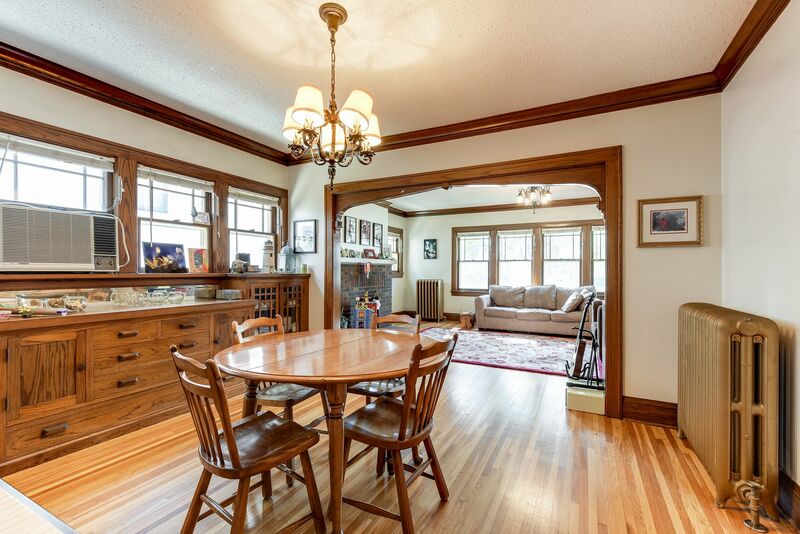 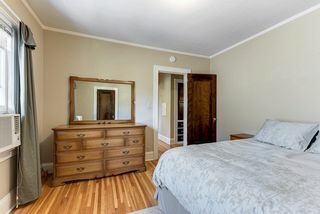 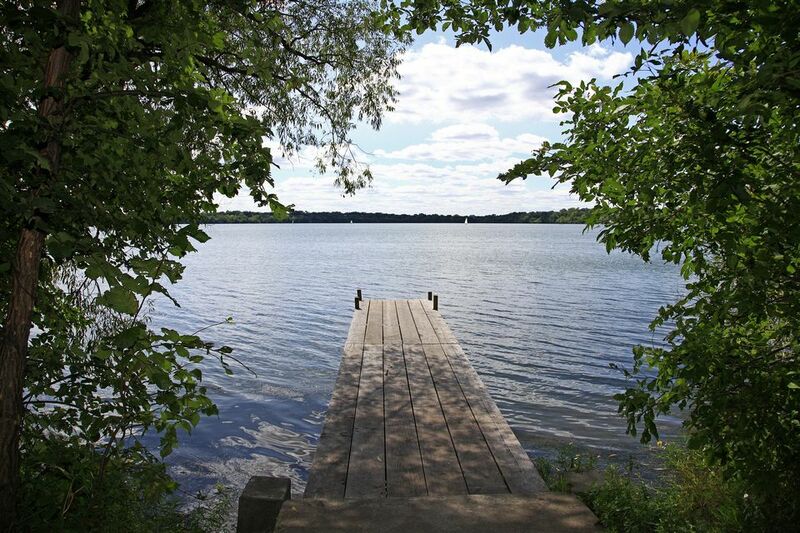 Rare 3 bedroom units, each with wood burning fireplace, built-in buffet and beautiful millwork. 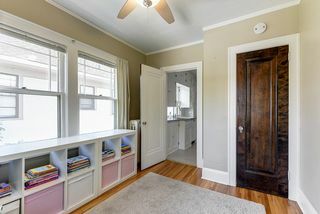 Gorgeous hardwoods, crystal doorknobs and lighting of era. 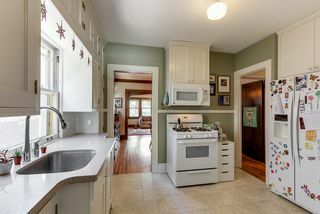 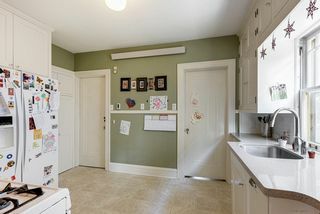 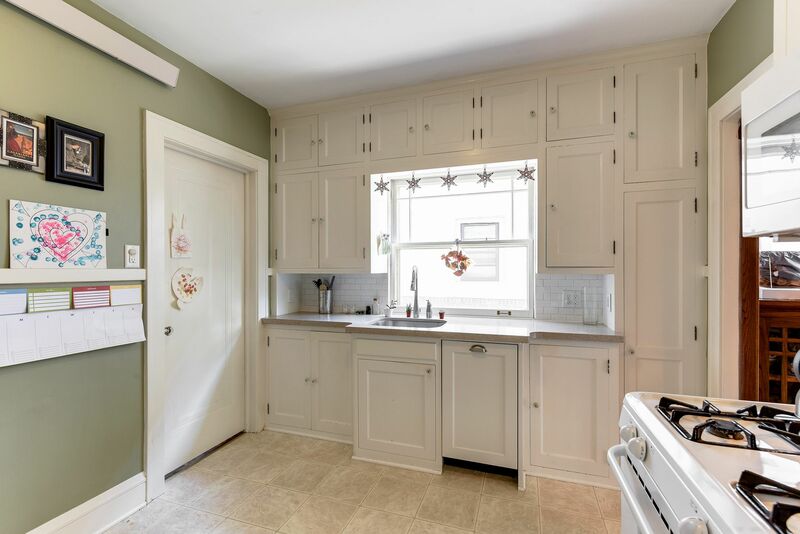 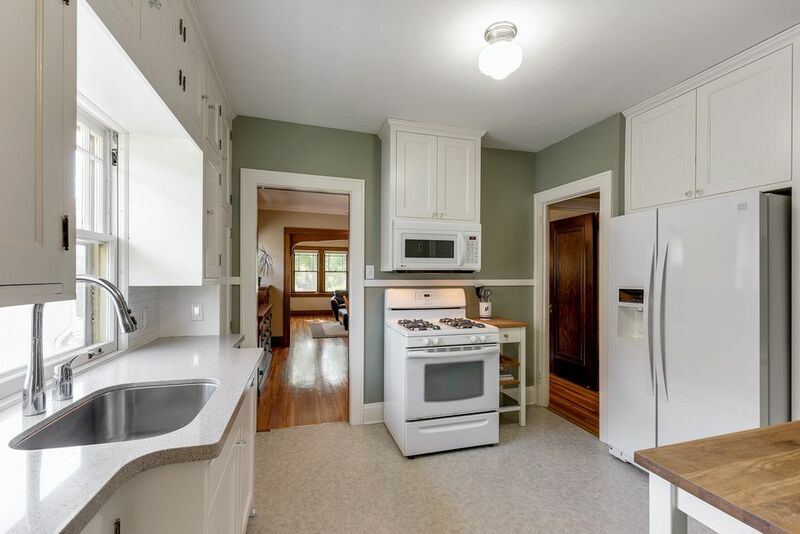 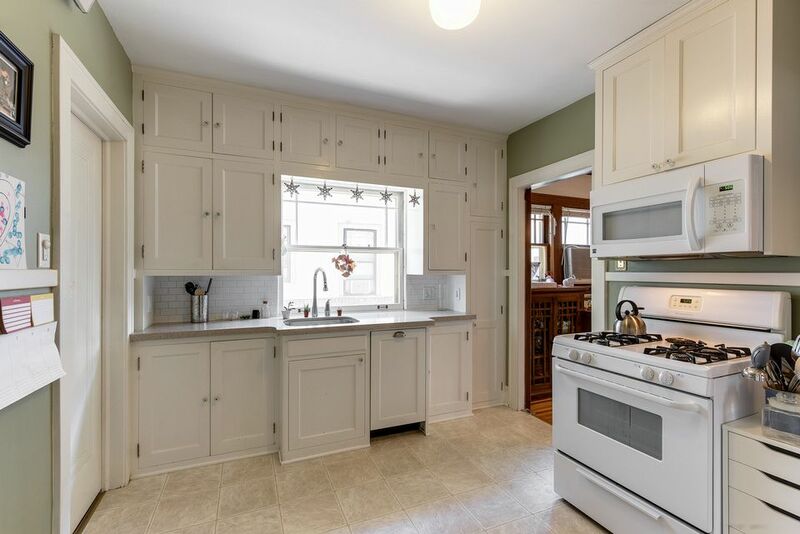 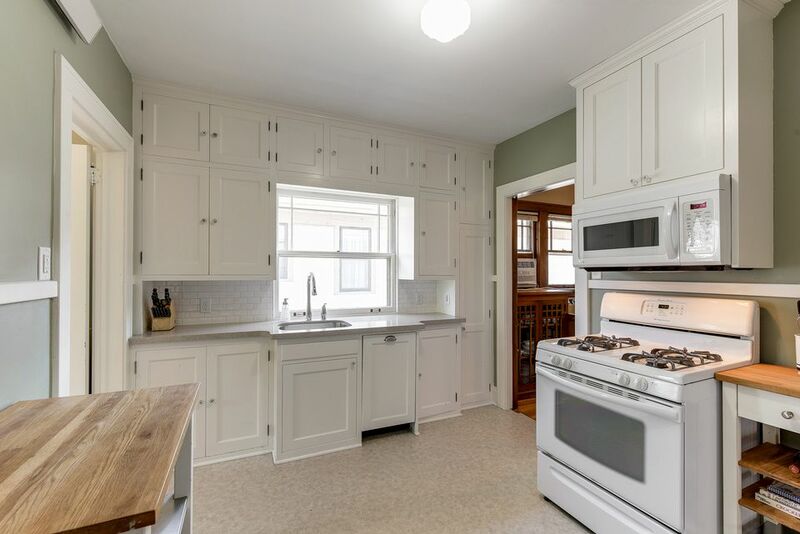 Updated kitchens feature new refrigerator, microwave, Bosch dishwasher, faucets and Silestone counters. 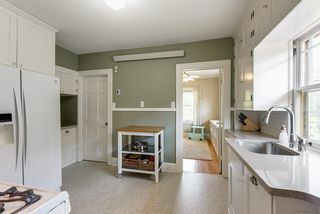 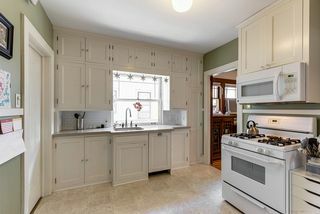 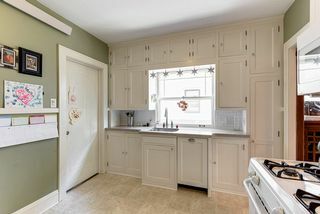 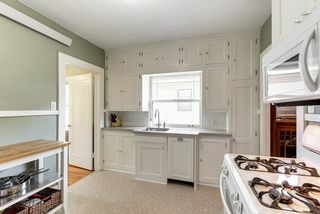 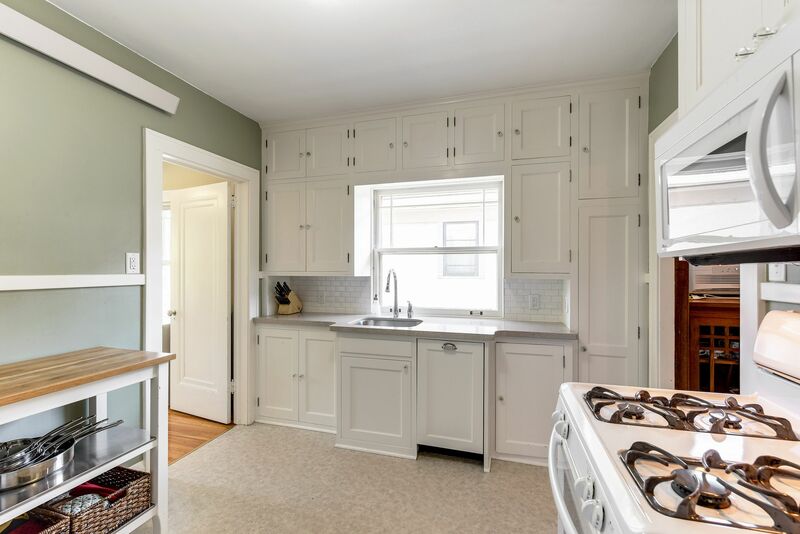 One unit includes kitchen pantry, another coffee niche . Honeycomb tile flooring in full bath. 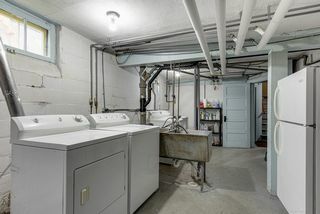 Storage galore in basement, Two-car garage. 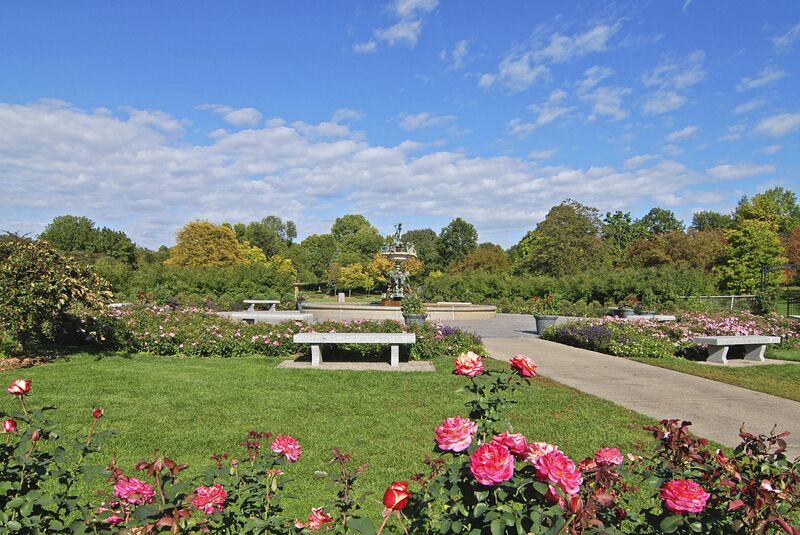 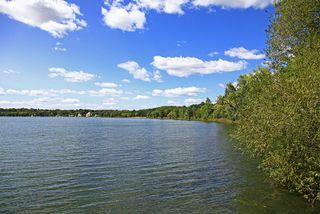 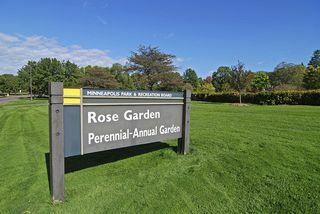 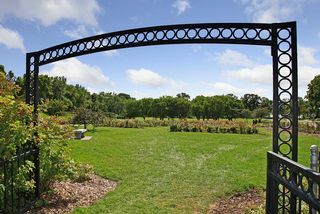 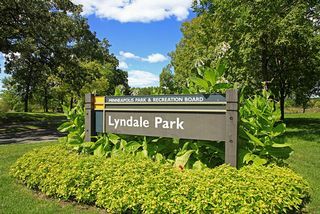 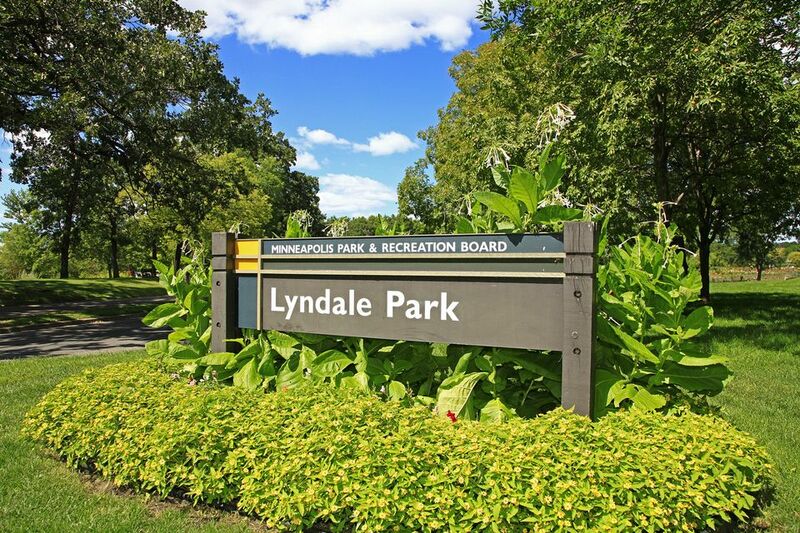 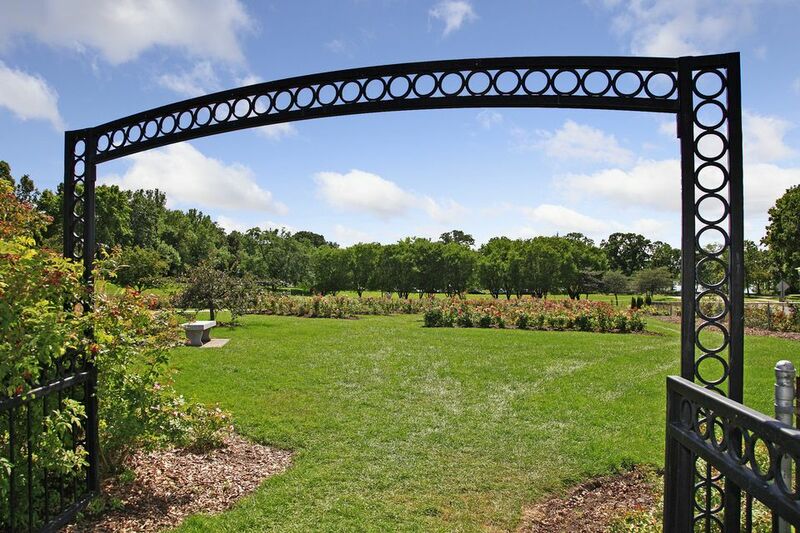 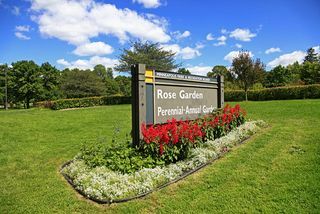 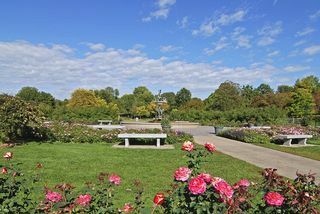 Nearby Lake Harriet and Rose Garden. 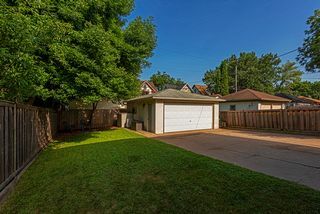 Tranquil backyard; 1 block to park.